I love to read and I'll read just about any kind of fiction, though I tend to lean toward PNR, Romances, Suspense, and Thrillers. I love a good Dark Romance, especially if it's gritty... MM, MFM is good by me, as well as anything in between, though I tend to shy away from Sci-Fi, alien romances. Nothing personal, they just don't click for me. First and foremost, I am completely honest in my reviews. I call them exactly as I read them. With that in mind, I also strive to respectful of an author's work. 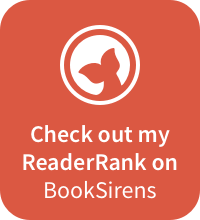 To request a review, send an inquiry to mommasaystoreadornottoread@gmail.com with your name, book title, blurb, and word count and when you need it read by and I'll see what I can do.